I was doing my usual browsing of the aisles of Boots recently when I noticed they had 1/3 off selected Nip + Fab products. I was in the market for a new cleanser anyway so when this one tripped and fell into my basket I decided to let it stay there. True story. 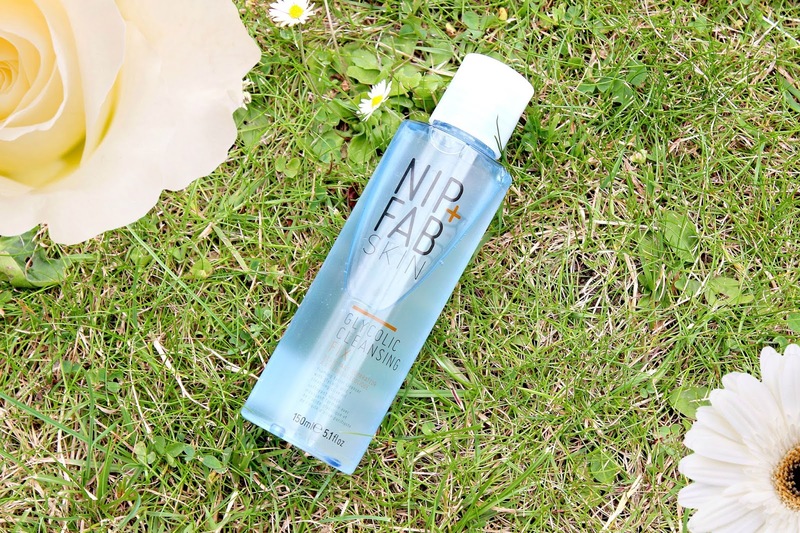 Nip + Fab is a brand that's been on the highstreet for a couple of years now, but have become massive recently, mainly thanks to Kylie Jenner becoming an ambassador for the brand. I'd tried their Glycolic Fix Serum a while ago and really liked it, so I thought my skin and I would probably get on well with the cleanser too. Nip + Fab Glycolic Cleansing Fix (or Glycolic Fix Cleanser as it was previously known), is a foaming facial cleanser with 2% glycolic acid which aims to deeply cleanse skin whilst gently exfoliating to leave skin purified and radiant. I always seem to go for products containing glycolic acid, as it's an exfoliator which, with dry skin, is something I certainly need to incorporate into my daily routine. The formula itself is a gel like consistency that turns to foam when in contact with water. You really only need a small drop of this as it gets into a great lather once massaged into wet skin. When rinsed off, my skin feels SUPER clean to the point where it actually squeaks. I love how clean this makes my skin feel and how gentle, yet effective it is at removing any dead skin cells on the surface of the skin. Usually with cleansers like this, my skin feels really tight and uncomfortable afterwards, but this doesn't, as it's got olive oil which helps to keep the skin hydrated and smooth. This retails for £7.95 but is currently on offer in Boots for £5.30 (here). Next on my Nip + Fab wishlist? The Dragon's Blood Fix Plumping Serum. I also got this when it was a third off and I love it! Not sure I would pay full price for it though cause the bottle is quite small!